When picking the best fruits and vegetables to juice, it is vital that you will consider the benefits of each, especially, when you are serving it to your kids. Broccoli is one of the veggie options that kids do not like because for some, it has a weird appearance and so they already know how it would taste even just by looking at it. Even adults do not like to eat broccoli and they only started loving it the moment the veggie touched their taste buds that they realized that it is delicious (this is not true to all, though). The health benefits of juicing a broccoli are things that everyone should consider as it promotes heart health. It targets problems with blood pressure and it has anti-inflammatory properties. Bone health is also mentioned with an inclusion of anti-cancer agents. All of these are made possible because of the vitamins and minerals that can be found in every juicy serving, which include vitamins K, A and C and potassium, manganese, calcium and more. Accordingly, this vegetable also promotes detoxification of the body, which helps you eliminate the unnecessary compounds in your system. 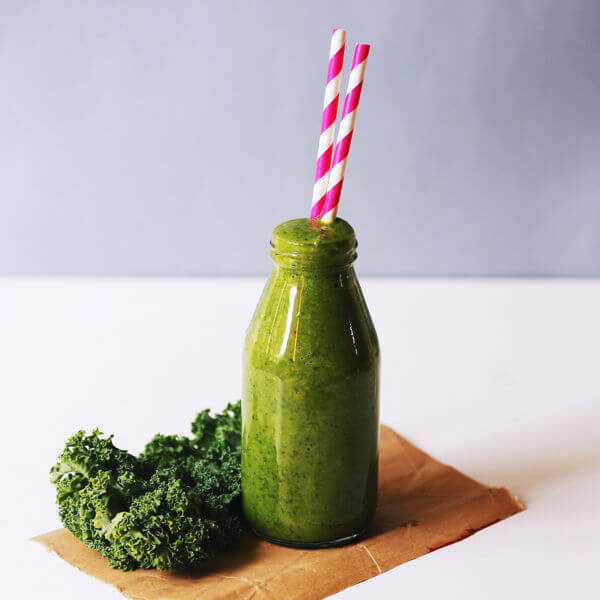 With larger amounts of the juice and consumption for a longer period of time, one article suggests that you can link the benefits to those who suffer from hyperthyroidism. This procedure is for you to have an 29 and ½ ounces of juice with all the ingredients mentioned above. Chop the heads of broccoli into 6 cups and juice them out, which can give you about 8 ounces of juice. Chop the apples into 4 and ½ cups and juice them out, which will then give you about 20 ounces of juice. Beet should be juiced under 1 cup, which then gives you about 1.4 ounces of juice. Mix them well and add some flavorings if you wish, but these juices with the 3 apples producing 20 ounces of juice, once blended with other ingredients are ready to go. Because of the ingredients included in the recipe, you can expect the juice to have a strong color, as well as strong flavor. However, it is not that very sweet. Anyway, you can add apples to improve its taste. Chop and juice out the broccoli (6 cups), which will give you 7 ounces of juice. Chop and juice out the cauliflower (2 cups), which will give you also 2 ounces of juice. Chop and juice out the red cabbage (3 cups), which will give you 4 and ½ ounces of juice. Chop and juice out the carrots (1 and ½ cups), which gives you about 3 ounces of juice. Juice some apple to enhance more its flavor. This recipe is a favorite of the many because of its very healthy combination of fruits and vegetables. Also, it may have plenty of ingredients, but it also promises a balanced flavor, which makes you want for more. This measurement of the required ingredients can yield up to 32 ounces of juice. Chop and juice out the broccoli (4 and ½ cups), which will give you about 6 and ½ ounces of juice. Chop and juice out the Broccoli Raab (Rapini) (3 cups), which will give about 5 ounces of juice. Chop and juice out the carrots (3 cups), which will give you about 8 ounces of juice. Chop and juice out the apples (3 cups), which will give about 9 ounces of juice. Chop and juice out the fennel (1 and ½ cups), which will give about 3 ounces of juice. Slice and juice out the ginger (2 and ½ square inches), which will give an ounce of juice. Broccoli Raab (Rapini) is related to turnip families with broccoli, but you should know that it has a stronger and pungent flavor compared to that of a broccoli. Also, in comparing their nutritional profile, they have almost the same and slight differences, but are all still good for the body to consume. Based from the given ingredients, you can spoil your sweet tooth for this. The good thing is that they are all natural sugars, which is good for the body and for the diet also because most of the options here are rich in fiber and with anti-inflammatory properties. Chop and juice out the head Broccoli (A little over 1 cup), which will give about 1.5 ounces of juice. Chop and juice out the pineapple (a little over 2 cups), which will give about 8 ounces of juice. Slice and juice out the orange (1 and ½ cups), which will give about 6 ounces of juice. Overall, you will get 25.5 ounces of juice for this recipe. With this diet, you will enjoy the sweetness as well as the healthy diet that comes along with the fruit options added to the broccoli. These are just a few of the many broccoli juicing recipes you can try. Always do the experimentation if you would like to improve the flavor, as well as its appearance. There are still many other options of fruits and vegetables you can mix and match with the flavor and the healthy green color of the broccoli.